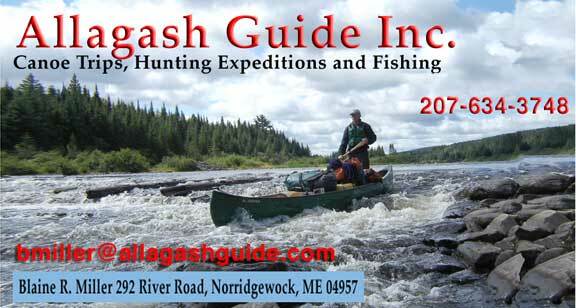 West Branch of Penobscot River – Allagash Guide Inc. This trip begins at Lobster Stream on the banks of the scenic West Branch of the Penobscot River. Our first night is on Lobster Lake, possibly the most beautiful lake in Maine. Spectacular views of the majestic Mt. Katahdin and Big Spencer Mountain make this lake most memorable. Upon leaving Lobster Lake, we travel down the West Branch of the Penobscot to Chesuncook Lake and historic Village. The trip ends at Chesuncook Village, completing a 40 mile trip. Numerous wildlife sightings, beautiful scenery and easy paddling make this a great family or beginners trip. This trip can be a three or four night trip. Other variations can be a stay at the historic Chesuncook Lake House overnight or the use of kayaks instead of canoes. Groups can create the type of trip they desire.